This Core will provide scientific, fiscal, administrative, and logistic oversight to all Projects and Cores. Core personnel will promote communication and collaboration among investigators within the Center and facilitate the sharing of reagents, tools, specimens, and data to ensure the most effective allocation and use of Center funds. The Core will also: provide clerical support; coordinate interactions between facility cores and research projects; oversee education and training activities; and organize regular investigator meetings. The Core will act as a liaison for Cores in order to best promote collaboration and to ensure all Center work effectively contributes to issues relevant to SRP, and to maximize the dissemination and application of research findings through the Community Engagement Core and the Research Translation Core. The training core will engage our pre- and post-doctoral fellows in laboratory-based research and effective communication of the research findings. Each trainee develops a specific project to translate research findings into concepts that can be transmitted effectively to the community, various local/state agencies, and university audiences. Our trainees will interact with faculty and students providing the latest information about the chemistry and human health effects of VOCs and metals. Our trainees will participate in meetings with the West Jefferson County Community Task Force and the Metro Louisville Public Health and Wellness Department with our Community Engagement and Research Translation Cores to engage in discussion and answer questions about the Superfund research projects. Lastly, our Training Core will interact closely with our two NIEHS funded T32 and T35 training programs in environmental health sciences. 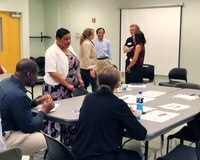 The overarching goal of the UofL Superfund Research Center(ULSRC) Community Engagement Core (CEC) is to facilitate effective bi- directional interactions between local community residents, government/policy makers, and the ULSRC interdisciplinary investigators that will lead to better prevention/intervention measures. We use a framework of transdisciplinary research because it includes investigators from natural, social, and health sciences as well as community practitioners and experts in a manner that transcends academic and institutional boundaries to create new knowledge. This approach captures our intent to engage community members in the development of new knowledge in a bi-directional exchange of expertise, resources, and training. We believe that this approach is necessary to solve persistent problems that involve complicated and intersecting social, natural and biological systems such as exposures to toxic VOCs. Community environmental quality knowledge exchange sessions, advisory board meetings, substantial support of specific ULSRC projects, assessment of both community and investigator perceptions and knowledge, and substantive interaction with other project Cores particularly the Research Translation Core constitute the work of the CEC. The CEC will provide a platform upon which to build transdisciplinary research capacity to develop intervention strategies that reduce the risk of toxic VOC exposure and adverse health consequences. The purpose of this Core is to disseminate scientific knowledge acquired from the LSC in a timely manner to key constituencies in a form that is targeted and useful. These constituencies include local, state and federal governmental agencies, interested non-governmental organizations, health and environmental professionals, researchers, educators and NIEHS. The Core will build on strong relationships and interactions between UofL and Metro Louisville government, state officials, American Heart Association, regional EPA administrators, and a variety of local non-governmental organizations with a strong interest in environmental health. 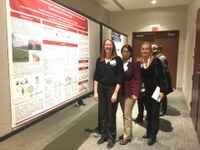 An example of dissemination of information is a NIEHS R13ES24661 award to host a national research meeting, “Tamburro Symposium on Environmental Chemicals and Liver Disease,” held at the University of Louisville. 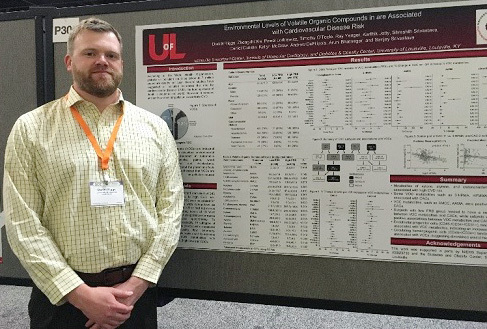 Over 100 participants from all over the U.S. participated and new information on environmental toxicants and liver disease and CMD was provided to students, investigators and the community through multiple venues. The function of this Core is to provide high-quality analytical services and validated data in support of Projects 1 and 2. Core personnel will also provide intellectual input, advice and training to refine the use and execution of existing assays, and to initiate the development and establishment of novel quantitative approaches that expand its repertoire for providing unparalleled assessment of metabolic and toxicity endpoints. Furthermore, the Core intends to expand its operations, not only to support the needs of LSC projects, but also to facilitate interactions with additional UofL investigators and other Superfund Centers. The primary objective of this Core is to provide support for investigators in each of the four projects and Cores. Core services are matched to the needsof each project and cover a full range of services from collaboration and routine service for protocol preparation to protocol review and oversight to study design and data analysis. The core will develop new statistical approaches to assess the effects of multipollutant exposures and for studying cross-sectional and longitudinal association between VOCs and cardiometabolic health. The Core will also maintain a biorepository for systematic, long-term storage of human and animal tissues for future use.